Add a new decoder to the list. 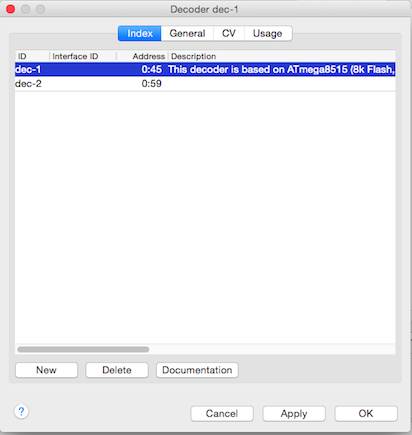 Delete the selected decoder from the list. Calls the default browser with the XML and Stylesheet. 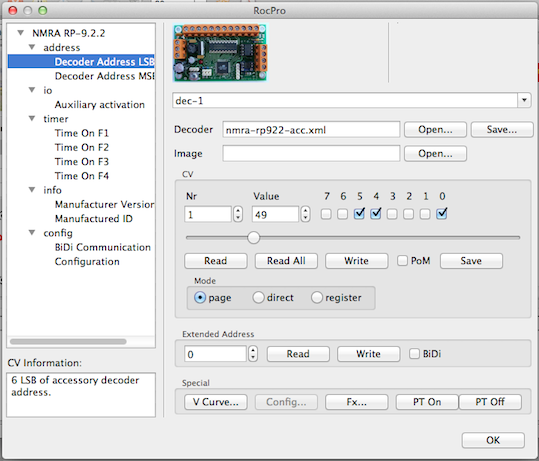 If the decoder address is greater then zero it will be listed in the RocPro dialog for programming CVs.